Picture boards allow you to take photos off of your computer screen and display them on your walls. These boards can bring your favorite memories to life, and you’ll end up with decor that’s both beautiful and meaningful. No matter your style, there’s an option to match. To offer you inspiration, we’ve compiled 21 photo board ideas. When making your own photo board, consider the overall vibe you’re going for. Will it be vibrant and colorful or simple and soft? Select a picture board design that fits both your personality and other mounted wall art. Once you’ve chosen a design, just pick out your favorite photos to complete your project. Transform a wood pallet into a beautiful photo board. Frame each photo and secure it to the board using glue or small nails. Incorporate a range of frame colors and sizes for a design full of character. Driftwood, which can be found on most beaches, makes for beautiful home decor material. Fasten several pieces of driftwood together with twine, string or rope. This hanging frame style complements a relaxed style, like a nautical-themed room or a peaceful nursery. Painted frames make for unique photo board outlines. Fasten hemp cords in zigzag formation across your frame using nails, screws or staples. Hang your photos with clothespins, and add extra visual appeal through photos of varying sizes. Make a picture board that is easy to design and adjust. Choose a magnetic board as your background piece and accessorize it with magnets that match your personality and style. A magnetic board gives you the option to replace photos whenever you want—a bonus for active, growing families. Looking for unique photo collage ideas? This photo ladder is sure to be a conversation starter. Repurpose an old ladder or build your own, and arrange your photos between the rungs. Accent the piece with natural items like holly berries or flowers. A creative way to display your memories or artwork is by clipping it to a clipboard. Clipboards make it simple to change your more dated artwork for updated photos. For a fun spin, paint the clipboard a bright hue to produce more color and contrast on the wall. Print your photos in polaroid style. Caption each photo with the date and location so your special memories are captured forever. Line them perfectly in a frame, leaving ample white space for easy viewing. This heart-shaped photo collage bursts with love. Arrange your photos in a heart formation on a thick paper or photo mat. Build contrast by using different types of photos, from landscapes to family portraits. Create a photo collage that lights up the room. Fasten strings of festive lights (white works best) in a flowing pattern on a wall or board. Making the pattern seasonal is an easy way to decorate for the holidays, and re-shaping the lights afterwards is simple. For the final touch, hang photos on the twinkle lights with clothespins or hooks. For a simple and chic photo collage, use a white-colored picture frame as your foundation. Fasten copper wire across the frame’s opening in crisscross fashion. Clip your photos to the wire with small clothespins and make sure to leave open space so your photo display isn’t too cluttered. Design a textured arrangement by hanging photos from a wooden branch. Loop multiple photos to the same string, or use one photo per line. Tie the end of your string around the branch, knot it and place your photo strings somewhat evenly across the rope. Don’t worry about the strings being exact, any that are skewed will give the piece a more natural feel. Put your creative skills to use by repurposing an old box spring. For an artsy look, opt for black and white photos. Pin them to the wire rungs with plastic clips or clothespins. This photo collage will surely earn some second glances. Creative and stylish, this honeycomb-inspired photo display surely brightens the mood. Trim your photos in a hexagonal shape and add them to your hanging display. Use a wooden dowel or driftwood to secure your photos and other decorative pieces. Photo board ideas don’t have to include a physical board. 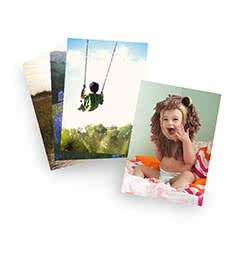 Simply print out your photos and create a wallpaper design by piecing your photos next to each other along the wall. Your full display will have guests entertained for hours. Create a fun, circular-shaped photo display utilizing a hula hoop as your base. Paint it a color that matches your other decor or, when in doubt, choose a metallic tone. Secure your photos to ribbon using glue or tape (without damaging the photos, of course). Add accents to the border, like fabric flowers or festive decals. Forgo straight lines and blank space with a photo board that knows no bounds. By creating an assorted arrangement—complete with photos layered on top of each other—you’ll achieve a chic and artsy vibe. For a special celebration, like a birthday or quinceañera, create a number-shaped collage out of your photos. Include candid shots and posed portraits for a balanced look. To make your collage extra meaningful, select photos that include loved ones, like grandparents, aunts and cousins. Hangers can be used for much more than shirts and dress pants. Print your photos in an 8×11 size or larger. Clip them to the hangers as evenly as possible. The best part? You can replace your photos at any time. Add some flair to your bedroom or living room with a macrame photo display. With a wood dowel as your hanger, tie your ropes so they dangle from the top. You can secure your photos using glue or tape. Vary the lengths of your rope pieces to give your photo collage plenty of edge and personality. Fill your wall with photographs and frames that are different shapes and sizes. To add depth, vary the sizes of matting used. The asymmetrical look will create a dynamic gallery wall that draws attention to your photos. Display your family photos on canvas. Create a photo board by combining various photos with similar lighting and affixing them side by side on a wall. This arrangement works well for displaying multiple family photos, like a recent vacation or your annual holiday or christmas photos. Photo boards are a fun way to display all your fond memories. Get started making one with these step-by-step instructions on how to make a photo board or, if you have a specific design in mind, take on the challenge yourself. Either way you’ll have a beautiful new piece of decor to add to your home.